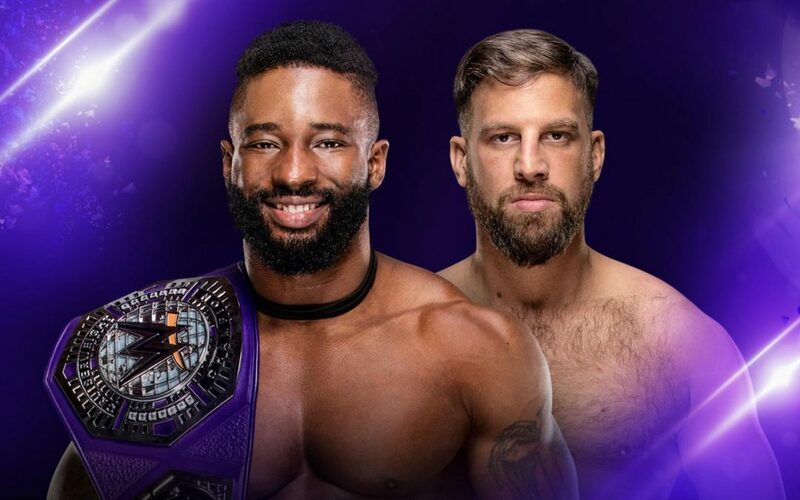 On this, the Wednesday night debut of 205 Live, we see a hype video for the Cruiserweight Championship match between Drew Gulak and Cedric Alexander, detailing how Gulak has bullied and bulldozed his way into a title opportunity. Percy Watson and Nigel McGuinness join Vic Joseph on commentary, as they introduce the opening match of the night. In what I imagine is TJP’s worst nightmare, the garish Lucha House Party come out after him with some rather loud ring attire on (which would be quite ironic, considering TJP’s own fashion choices). Kalisto and Gran Metalik say their hellos and goodbyes before leaving Dorado to his own devices. Dorado has been suffering a thumb injury of late, but he doesn’t show any signs of concern over this as he throws TJP around the ring with armbars and drags aplenty. It takes an illegal hold from the wily TJP to get in any offense of his own. TJP’s momentum continues as he dodges an airborne Dorado whose shoulder crashes to the mat. TJP begins a methodical breakdown of Dorado, frequently looking for an early pinfall. He decides to slow things down by returning to Dorado’s shoulder in a variety of holds and stretches. Despite an early scare, TJP is firmly in control now. This is what is interesting about TJP. He has excuses at hand for anything that doesn’t go his way, but when fully utilizing his technical prowess, he shouldn’t really need any excuses. That technical game is no match for Dorado’s lucha offense in this instance, however, as the LHP member lays waste to TJP with a suicide dive to the outside after a deafening overhead chest chop proves too much for the former Cruiserweight Champion. Dorado begins to take charge and is on course to defeat TJP. But during a lock-up, TJP does the unthinkable and rips Dorado’s mask clean off. Dorado is distracted and frantically covers his face. This affords TJP an easy roll-up for the one, two, three. After the match, Dorado quickly reapplies the mask, looking ashamed that his tradition was so readily disrespected by TJP, who makes off up the ramp with one of those dreaded noisemakers. Hopefully, TJP rounds these all up and we never have to hear them again! 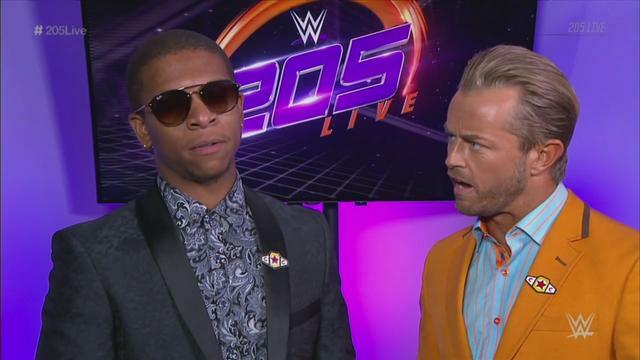 Lio Rush is backstage with 205 Live General Manager, Drake Maverick. Maverick reads out a text from Rush who says he is unable to compete against Noam Dar tonight, what with his commitment to Monday Night Raw as Bobby Lashley’s manager. 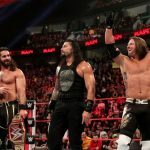 Maverick isn’t happy and says that Rush will meet his contractual obligation in a match against Dar next week, or he will face the consequences. After some Network commercials, Maverick is apprehended by Mustafa Ali this time. Ali goads Maverick into making a match between himself and Hideo Itami, but Maverick is apprehensive, considering Ali’s recent mindset. After some deliberation with the medical team, Ali will indeed face Itami on next week’s 205 Live. With no mid-show “squash” match this week, the main event of 205 Live is next; a decent run time for this match could mean we get some right decent wrestling on the go! Drew Gulak is joined by Brian Kendrick and Jack Gallagher for his title shot. Once Alexander comes down, the ring announcer provides the tale of the tape. The bell rings, and “Let’s Go, Cedric” rings out from the Tulsa crowd. Alexander locks eyes with the leering Kendrick and Gallagher on the outside. Gulak wastes no time in applying a Gulock. Very luckily for Alexander, he is near the ropes and is able to escape. The sneak attack hasn’t shaken Alexander, who grounds Gulak with multiple takedowns and headlocks, reminding the Philadelphia Stretcher that he can match Gulak’s grappling-based offense. It takes a leg grab from Kendrick on Alexander to grant Gulak a breather in the early exchanges. The referee spots the interference, answering with a ringside ban for both Kendrick and Gallagher. Much to Gulak’s dismay, but the audience’s joy, the dastardly duo make their way to the back. This turn of events enhances Alexander’s confidence in keeping Gulak grounded; a style which actually complies with Gulak’s vision for a better 205 Live. The second Alexander takes to the air with a rope assisted clothesline however, Gulak is ready to strike, flooring the champion with a backdrop driver. Gulak is now in his element, slowly and methodically wearing Alexander down. He painstakingly works on Alexander’s upper body, already a target what with the earlier driver. The attempts to soften Alexander up in preparation for the Gulak working out well for the challenger. The Cedric chants don’t offer much for Alexander; a burst of offense being soaked up easily by Gulak, who once again keeps Alexander down. Alexander tries to suplex his way out of a chinlock, but Gulack resists. What Gulack can’t resist though is gravity. Alexander suplexes Gulak from in the ring to the floor. However, he miraculously keeps hold of Gulak, flipping himself over the rope also, and locking Gulak in for another suplex on the floor. Some incredible offense, wherewithal, and mettle from Alexander here. Coming to a GIF near you! After both men barely answer the ten count to return into the ring, Alexander rains a flurry of high impact moves down on Gulak. He goes for victory from a flying clothesline, but Gulak kicks out very close to the referee’s three count. In the blink of an eye, Gulak applies another Gulock; Alexander lucky enough again to be close to the ropes to break up the dragon sleeper. Gulak screams his “Better 205 Live” catchphrase in Alexander’s face, his anger at being unable to best Alexander taking hold. The rage builds up to a devastating lariat which up-ends Alexander with devastating effect. Buddy Murphy watches on from backstage, sizing up whichever opponent will defend their title against him at Australia’s Super Showdown in two weeks’ time. Back in the ring, and we have another close two count after an Alexander Michinoku Driver. With Gulak waning, Alexander lands deafening chops on Gulak’s chest. He charges Gulak in the corner, but an enziguri stops him in his tracks. In a truly rare moment, Gulak scales the ropes and clotheslines Alexander from the top rope. While it doesn’t earn Alexander a victory, it shows the lengths that Gulak is willing to go to in order to win the title. Desperate times for Drew! The desperate times are transferred to Alexander, who battles against Gulak’s finishing submission once again for an extended period of time. The two square up in the middle, exchanging hard fists and slaps. Alexander looks more stricken than Gulak, but just like his previous successful title defenses, he musters up enough energy to hit the Lumbar Check out of nowhere for the win. Although I wasn’t truly expecting a title change, it’s hard to be disappointed that Gulak doesn’t close 205 Live as the Champion. Having said that, this was the more engaging Alexander match in some time. His struggle against adversity works best when he and his opponent don’t have the limitations of a PPV pre-show to contend with. 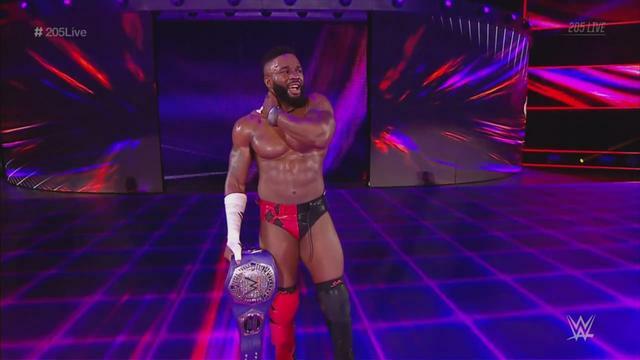 Murphy is backstage and brags to Kayla Braxton that once he defeats Alexander in Melbourne, all of 205 Live will be his. It’s early days, but 205 Live was filmed before Smackdown Live this week. With the crowd being pumped at the start of the night, rather than tired and jaded at the end, the atmosphere for the main event especially was a welcome one. Here’s hoping the new time slot benefits the show and its future. 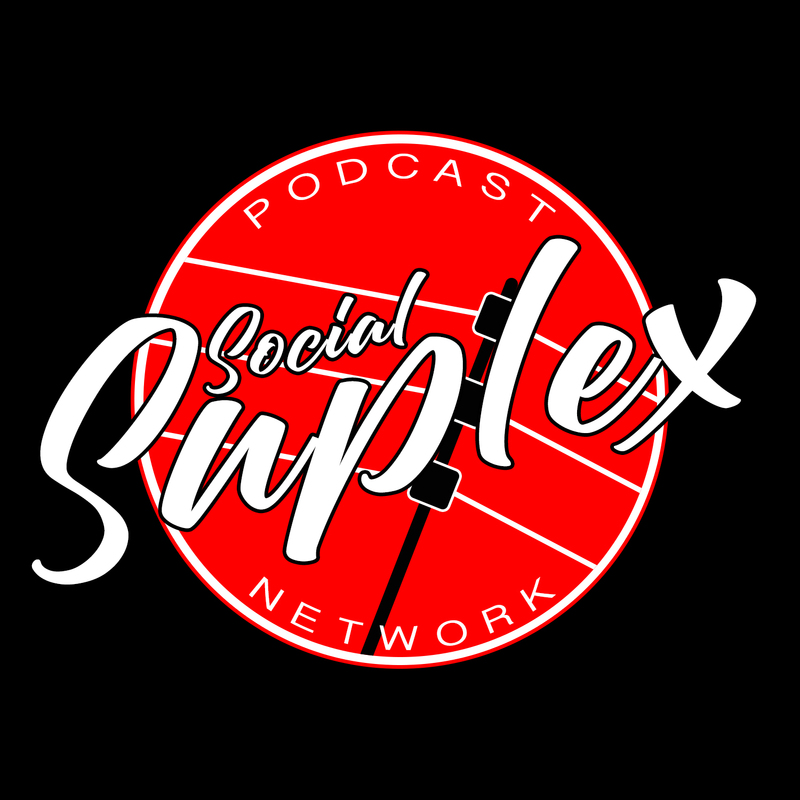 Check out our Hell in a Cell review on “Ricky & Clive Wrestling Show” on the Social Suplex Podcast Network.